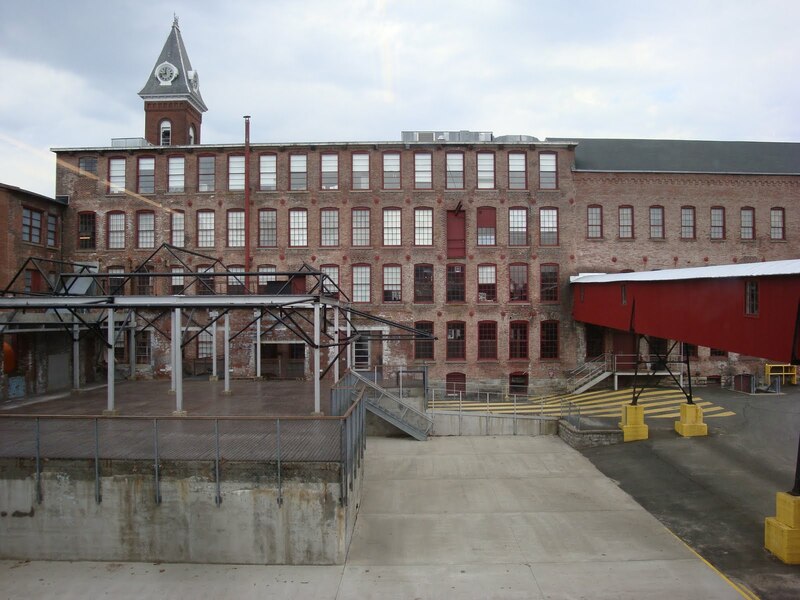 The converted factory buildings that house The Massachusetts Museum of Contemporary Art were originally built between 1870 and 1900. The complex is located in North Adams, MA and is one of the largest centers for contemporary visual and performing arts in the U.S. It has 19 galleries and 100,000 square feet. That’s larger than a city block. And North Adams is the smallest city in Massachusetts! In 1986 a group of staff from nearby Williams College Museum of Art were looking for a non-traditional space to exhibit large works. Their fundraising efforts signaled the beginning of the development and organization of MassMoCA. The Sol Lewitt wall drawing opened in November 2008; it occupies a 27,000 square foot building and will be on view until 2033. 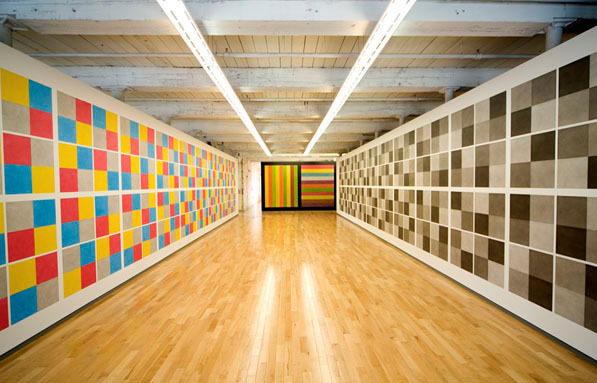 Lewitt designed the exhibition space for these works and wanted his wall drawings to be viewed by two generations of people. According to their staff that will happen by 2033.
by Ilene Spiewak: Originally from Philadelphia, PA, Ilene currently resides in rural West Stockbridge, MA.Throughout her career, which is steeped in first-hand observation and study… Read more about Ilene on our Contributors page. Tags: Ilene Spiewak, Mass MoCa, Sol Lewitt, Xu Bing. Bookmark the permalink.